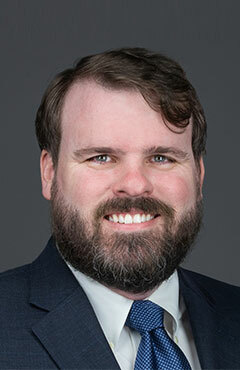 Pearce Shea is a finance paralegal in the Washington, D.C. office of Tiber Hudson LLC, where he supports James Peck and Roderick Owens. He has over 11 years of paralegal experience in finance, corporate, contract and real estate law and four years’ experience in commercial real estate sales. Mr. Shea has extensive transactional experience and has served as primary lender’s counsel’s paralegal on more than $700 million worth of loan closings and is well versed in the Department of Housing and Urban Development’s commercial real estate regulatory policy. Mr. Shea also has a background in leases and contracts, low-income housing and new market tax credit financing, GNMA securitization, warehouse lending procedures, and cash and GNMA-collateralized bond financing. Mr. Shea graduated from Kenyon College in 2000 with a bachelor’s degree in English.